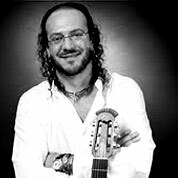 Fernando Delgadillo is a Latin American musician and composer. He is considered a major representative of the Folk music genre in Mexico. He mostly writes about everyday happenings, he’s been often called the creator of an “informal” kind of songwriting. He is a master of metaphors and deals with topics such as nature, the longing of someone special, birthday gifts, popcorn fights, hot phonecalls, etc.